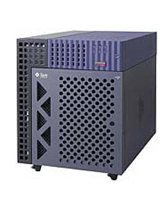 The Sun Workgroup Servers E450 provides remarkably computing performance for heavy computer-intensive applications such as database management, decision support, or simulation. Request a quote now on Sun Fire Server Models, or contact us at info@vibrant.com or 888-443-8606 with any questions and price requests. Custom Configure your Sun e450 now or request a quote on upgrades and/or parts, or contact us at info@vibrant.com or 888-443-8606 with any questions. For pricing on new or used Sun Enterprise 450 servers, upgrades or parts, please contact Vibrant sales at sales@vibrant.com or call 888-443-8606 or 952-653-1700.